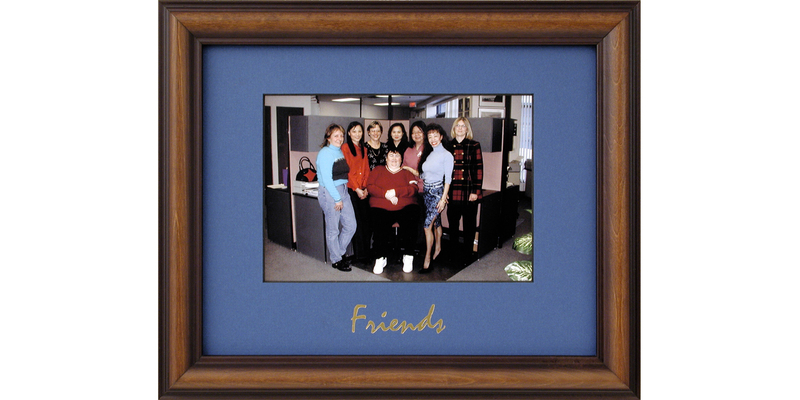 The “Friends Project” was a very different project! The restaurant had the Tempo frames made up with their distinctive type style stamped on the mats so that they could provide photo souvenirs for their patrons. It was a very effective way of promoting the name of the restaurant. We have received permission to use this distinctive logo in other projects such as “Friends” of the University, “Friends” of the Association, and “Friends” of the Alumni. It’s a warm and fuzzy way to present your photos. You can ask your Tempo Consultant to help you to create your own “Friends” Project.